The SGIM 2019 Annual Meeting will take place May 8-11, 2019 in Washington, DC. 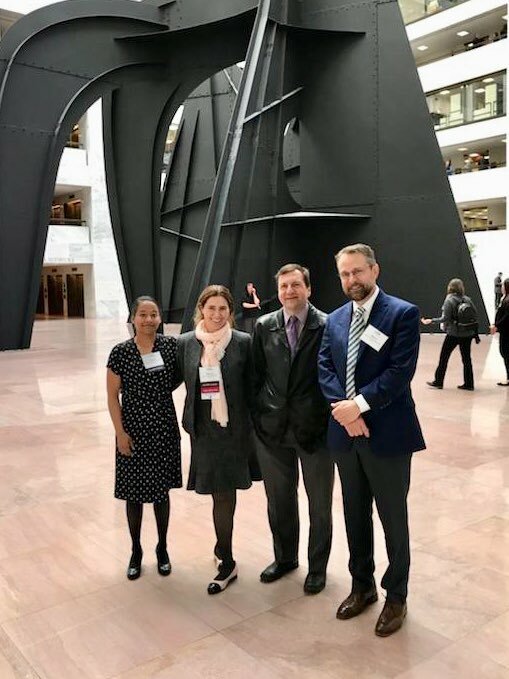 More than 120 members and annual meeting participants will make advocacy an important part of their meeting experience through a day of advocacy on Wednesday, May 8 on Capitol Hill. Advocacy day participants schedule Congressional appointments at their own convenience (based on availability) throughout the day on May 8. All Congressional meetings MUST be made by the participant. Please view the link below to learn how to call for an appointment with a Congressional Representative. Please see the links on this page to view all advocacy materials including leave behind documents (advocacy educational points that participants will "leave behind" with their Congressional representatives), background materials, and links to the Advocacy 101 webinar (after April 12). Additionally, participants will be matched with a "mentor" who can answer questions about advocacy day itself and/or make common visits to the Hill. A participant list will soon be made available on this webpage. SGIM's advocacy positions are specified in these educational materials that members "leave behind" after Congressional meetings. These documents provide an overview of SGIM's positions in a few different categories. View the leave behinds below by category and read related background articles. How Does Medicare Pay for GME?